The Adada rocking horse by Fermob is a wonderful toy that inspires both children and parents. The modern design is light as a feather and his runners leaving no marks on the floor thanks to the plastic glides. The outdoor-ready rocking horse is made from a lightweight aluminium frame and treated with a UV protective powder coating. Thanks to the highly effective treatment, the rocking horse is suitable for outdoor use and can be easily taken in outside to play with into the garden. Fermob supports the Association "Une Souris Verte" (a green mouse), which is committed to the inclusion of young children with disabilities in the society. A portion of the proceeds from each sold Adada rocking horse is donated to the association. 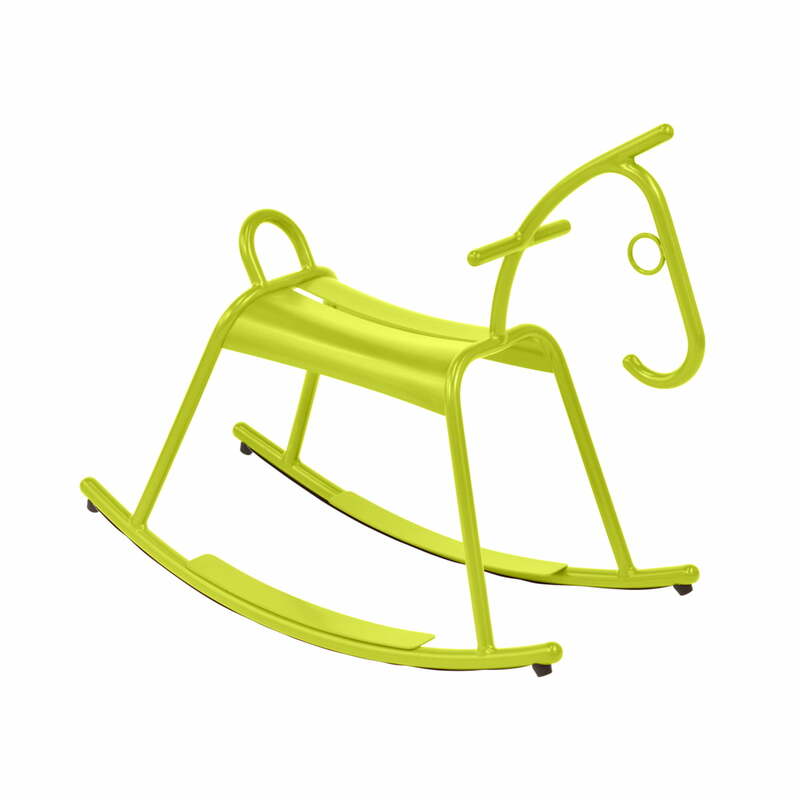 Product view of the Adada rocking horse in the colour vervain by Fermob. The attractive rocking horse is made from an ultra lightweight aluminium structure. Product view of the Adada rocking horse in the colour honey by Fermob. Thanks to the ultra highly effective protective treatment, the toy is suitable for outdoor use. 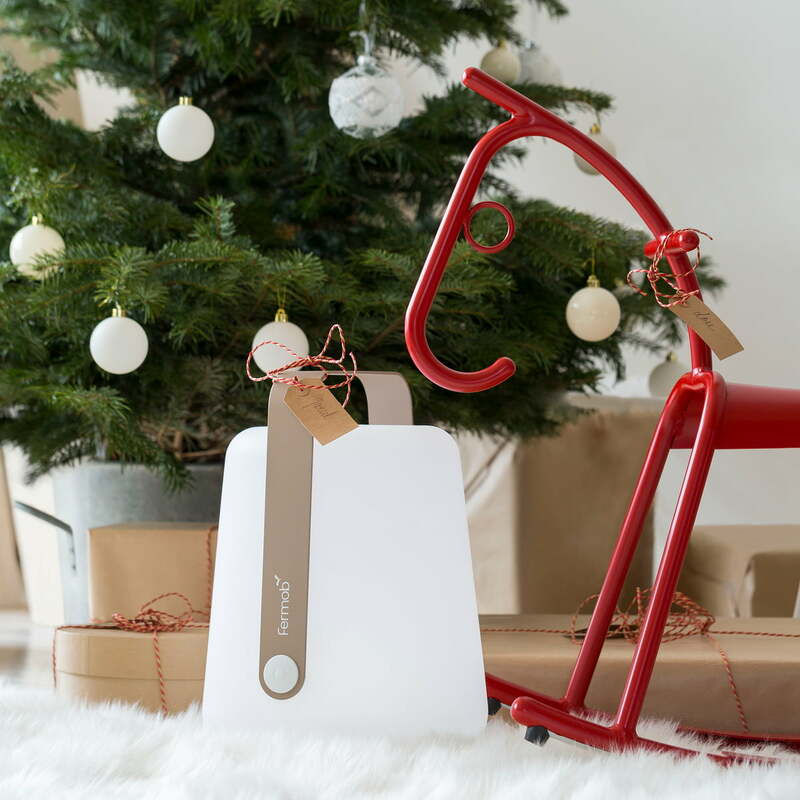 The Adada rocking horse and the Balad battery LED light designed by Fermob delight thanks to its simple and absolutely timeless design both large and small. The rocking horse is suitable for outdoor use thanks to the highly effective treatment and can stay outside on the terrace or the balcony as long as the weather is good.